With so many types of chemicals available for swimming pools, it can be tough to determine which ones are appropriate and how those swimming pool chemicals should be used. Swimming pool chemicals can be divided into several broad groups: Sanitizers, pH adjusters, Balancers, Stabilizers and Specialty chemicals. Always test your water with a good quality test kit, before adding any chemicals to the water. Swimming Pool Sanitizers: Sanitizers are chemicals that keep the pool safe and free from germs and algae. Typical sanitizers include chlorine and bromine. pH Adjusters: Having the right pH serves many purposes. A pH of 7.4-7.6 is very easy on the eyes and skin. A lower pH may be irritating to the eyes,corrosive to the pool, and will affect how fast the sanitizer is used up. A higher pH may cause scaling and lower the sanitizer’s ability to work properly. Ideally the pH should be 7.4-7.6, but in some situations a pH of 7.2-7.8 is acceptable.pH plays an important role in balancing your swimming pool. Remember, an acid will lower the pH and a base will increase the pH. Balancers:I will include two chemicals in this category, Alkalinity Increaser and Calcium Increaser. These two chemicals help balance the pool and maintain the pH. They are important in preventingdeterioration of the swimming pool equipment and pool surface. Stabilizers: In this category I only include a chemical called CyanuricAcid or Chlorine Stabilizer. The main purpose of this chemical is to save you money by reducing the amount of chlorine being used. It does not work in Bromine pools. Specialty Chemicals: Included in this category are Algaecides, Water Clarifiers, Metal Removers and Phosphate Removers. Each of these, as their names imply, are used to solve specific pool problems. Understanding Swimming pool chemistry will help make it easier for you to maintain your swimming pool. A properly maintained pool is generally less costly and more durable. Always use name brand chemicals to avoid introducing contaminates into the pool. Generally speaking, every swimming pool, whether above ground or in-ground, concrete, vinyl or fiberglass, will require proper use of pool chemicals. The acceptable ranges of each type of pool chemicals are different,depending on the surface of the pool. The amount of each chemical added to your pool will vary according to the volume of the pool. Mypool Has a Complete Range Of Swimming Pool Products! Owning a swimming pool can be a proud thing, but maintaining it could also be a tough task. If properly maintained it can give hours of pleasure. A swimming pool requires constant attention; if neglected it will cause hours of frustration and headaches. There’re so many types of swimming pool products available on the market -- from pool cleaners, pool filters, pool pumps, pool heaters, pool skimmers, pool vacuums and pool chemicals. Each product has specific uses and is designed to assist or resolve a specific issue with your pool. For example, the pump is the heart of the pool;it pumps water from the pool thru the filter and back to the pool. The filter removes impurities from the pool, similar to the function the liver does in our bodies. Swimming pool cleaners help the filtration system to improve water quality. There are two types of swimming pool cleaners: manual and automatic. Manual pool cleaners rely on your efforts to do the cleaning, whereas automatic pool cleaners run unattended. Swimming pool pumps, filters and cleaners work collectively to sustain not just the clearness of your swimming pool but keep it sanitary and well-maintained. Fundamentally, a pool cleaner operates as a vacuum and will save time maintaining your swimming pool.However, pumps and filters are more important than pool cleaners. Pumps circulate the water, allowing the chemicals used in the pool to be more evenly distributed and allow the filter to remove debris from your pool. Remember, Pumps circulate, filters cleanse and chemicals sanitize and balance the water chemistry. For this reason, pool pumps and filters are considered as the most essential swimming pool products. It is vital to consider proper sizing of the pump and filter when designing a pool. Products such as swimming pool cleaners improve the efficiency of the pump and filter. Other useful items of swimming pool equipment are solar blankets and heaters, which can extend the swimming pool season for people residing in cooler climates. Whether you are considering a new pool or are maintaining an existing one,at Mypool.com you can discover a wide range of swimming pool products from pool chemicals to pool pumps. Swimming pool maintenance can be costly. At Mypool.com we offer over 8000 products at discounted prices. Other than the basic swimming pool equipment that each pool owner will need, you also need to think about additional items to protect your pool in the best possible manner. For instance, if your pool is surrounded by trees, then falling leaves could be a big issue for you. In those circumstances, a swimming pool cover may be the most important piece of pool equipment for you. Selecting the swimming-pool equipment that’s perfect for you could be a difficult job, but once you’ve invested in a swimmingpool you will want to safeguard it by investing in the appropriate swimming pool supplies. At Mypool.com you can easily find all the essential swimming pool products at the best prices online. Additionally, you can purchase some fun items for your pool like water slides, pool fountains, floats, swimming pool games, and items for your patio too. Now you can easily find the ideal equipment for in and around your pool at Mypool.com. 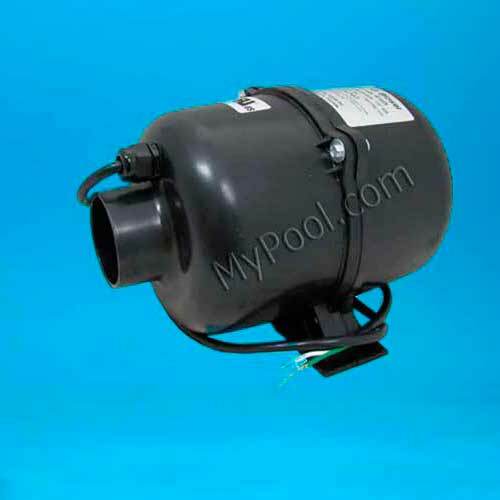 With a complete range of swimming pool equipment including pool pumps, lights, filters, chlorinators, skimmers and hoses, Mypool.com has absolutely everything you need for any kind of pool.